Submitted 1 year 2 months ago by Iskender. Many say the Spanish are lazy, but that’s not it. There’s something else, intangible, that’s developed in the culture and history. The children of Spain aren’t raised to follow their dreams. School has become, for the most part, just a place for passing exams, never for debate, discussion or critical thinking. Your curro, or job, is to endure from nine to nine, pushing buttons until the next break. A history of civil war and a 39-year dictatorship, followed by a construction boom and crash, to now, where it’s taken for granted that politicians will be corrupt, has led to a nation that’s devoutly proud of being Spanish, but that can’t define what that even means. The problem with discussing these things is that most Spaniards don’t even notice them. The Catalans are definitely the most productive and serious in Spain in my experience. No wonder they want independence! 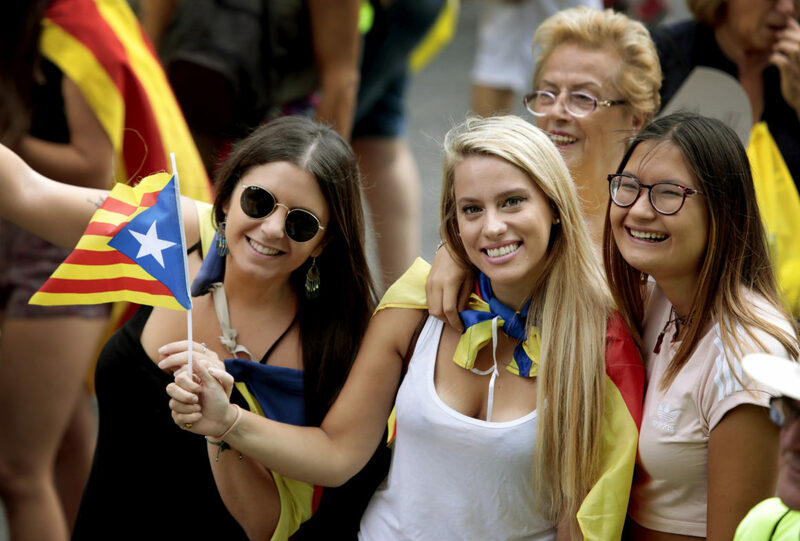 They are also much more freedom loving and not as “herd mentality” as the rest of Spain in many regions. Even in Christmas, most Spaniards who travel solo will only be Catalan. All the other Spaniards will be “in mei vilash guith mei femili”. There is a sort of inferiority complex that runs throughout the country…an insecurity of identity. So while they will tell you how great their food is, they will also subconsciously think your country (if it is an English speaking country especially) is in many ways better or more advanced (which of course it is). So in other areas they will grudgingly look up to you. If you are a very confident type, a “go getter”, intelligent and competent, you will not be very happy or satisfied in Spain. In fact, most of the highest achievers here LEAVE the country because this is no place for them. Even the “elite” send their children to the US or the UK because of the superior school and legal systems. So if you are the ambitious type, if you don’t like putting up with red tape and endless BS as well as people who won’t give it to you straight, Spain is not right for you. For me, the US is far more friendly to daring and entrepreneurial types than most of Europe. 1. Forget about “intellectual life” in Spain or “intelligent discussions”. Sure, I know that in the US most people aren’t walking around having “deep” discussions of any sort, but believe me the level of debate is far higher in the US or the UK compared to Spain. Most people are VERY PASSIVE and don’t really care either way about what’s happening. Most people in Spain not only don’t have any deep debate, but whenever there is a deep discussion people get VERY VERY offended in ways that make even the worst US Social Justice Warrior look conservative. There really is no debate culture here. Take that as you will. In the US, there may be a lot of idiots, but you have many more options if you REALLY look for it and want to have discussion on this or that topic. There are forums and groups for everyone there. 2. Spain is very cheap by London, Paris or New York standards. Outside Madrid and Barcelona, you can really live a relatively comfortable existence (NO LUXURIES THOUGH) for about 1000 euros/month. That may sound nice, but of course, the salaries are among the lowest in the world. So you get “free” healthcare (you pay for it and your employer through taxes, so it’s not really “free”). If you even think about being promoted or changing jobs here, FORGET ABOUT IT. You need to have really good connections for that. That’s ok if you want to do a brief stint here, but it’s not a future I want. 3. Shallow culture. If all you like is sun, party and tapas, sitting outside all day and drinking beer or whatever, then yes, by all means come to Spain. But for me there are other things in life. Sure, Spain has history. So what? If you want history you can always travel to it and take it in briefly. The US may not have centuries and centuries of history, but there are many historical places. Europeans will lecture you about how awful the US is, but they ignore their own very serious problems. Western Europeans are in no condition to lecture Americans on most topics except, perhaps, violence (but violence is also the sign of a more dynamic society in some ways)…of people who take a stand. Believe me, looking out your window and seeing the same people everyday sitting outside, laughing and rotting without any hope of fixing the future gets old real fast. If you even mention these things to Spanish people A LOT OF THEM will say “qué pesado” – which translates as “you’re so annoying and negative!” I’ve even mentioned this to some Spanish people who do think and they agree with me that this country is for the most part herd mentality, shallow, superficial and not a place for people who want to “perfect” themselves. 4. In Spain its always been about WHO you know rather than WHAT you know. That happens in every country, but here that is taken to almost third-world levels. If you are sociable enough in Spain, you can get away with mediocrity in what you offer. Spain is all about shenanigans and doing nothing of real seriousness. Business here can do very well being mediocre. Customers don’t demand quality. Take a look at the average private school or restaurant in Spain. If you try or are just very serious, people will call you out on it and tell you to “relax” or the ever ubiquitous “no pasa nada” – one of the phrases in Spanish I hate the most. Anytime something SERIOUS does happen, it’s always a “no pasa nada”, literally, “nothing happens” or “it doesn’t matter, no big deal!”. Spain is a country where mediocrity reigns supreme. Those are not my words, those are words of many Spaniards who have taught me that truth. Greeks who have emigrated tell me the same about Greece. 5. Spanish never finish what they start. They make a noise about everything, fury lasts a couple of days and then nothing happens and everything goes back to the way it was with no progress. Nothing will get done and nothing is expected to get done on time. You can’t go complain anywhere because laziness is universally accepted. If you are retired, you would love Spain. Stable (but very boring) convenient, cheap, sunny. 6. Risk adverse. Another really revealing thing about them, which speaks volumes of the country, is that you will NEVER IN YOUR LIFE see a young Spanish guy alone in a bar. They are too scared of doing anything alone. And of course, you would be even more hard pressed to find a young Spanish gal alone in any public place. I am always amazed at how Spanish men can’t seem to have balls to do anything alone. It’s exasperating and then it gets to be just simply annoying. These are obviously just my opinions and I don’t intend to convince you that it is the Gospel on Spain. At the end of the day, Spain is a relatively big country and despite most people being mediocre, unambitious and tied to their family, hometown and friends, you can still meet people of all walks of life. There are regions of Spain, like Catalonia and Valencia, that I find REALLY TOLERANT, open-minded and modern. I really love Barcelona and Valencia…it is day and vanguard compared to Madrid and the central plains. Valencia is a city where people love to show off their fashion or bodies. Think kind of like Southern California or Miami vibe and you can get a feel for Valencia. It is known as Spain’s version of California. But I am convinced after many years that it’s not the ideal place to live if you want to improve yourself. Most Spaniards are very similar to each other and were brought up in nearly identical family/economic cultures. They’re all perpetual students working minimal wage jobs in Schen. I actually agree with the Spaniards: come here to visit often, have a damn good time enjoying cheap alcohol and historical cities...but don't live here and don't raise your kids here. This isn't a country for ambitious people or brilliant minds.